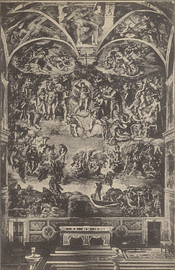 Michelangelo's "Judgment Day," from behind the altar in the Sistine Chapel, postcard. 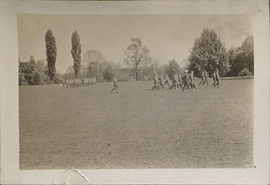 Military drill in field, Oxford, England, photograph. 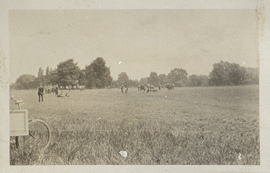 Military exercise in field, Oxford, England, photograph. 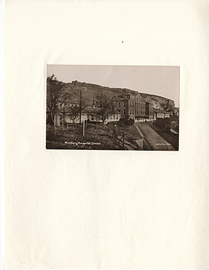 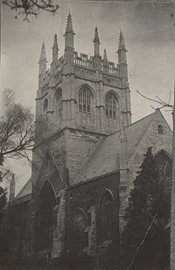 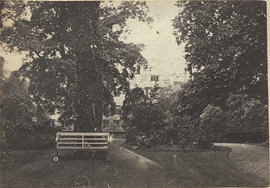 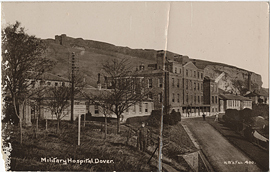 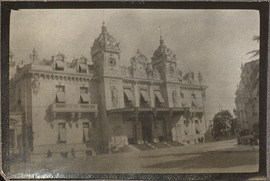 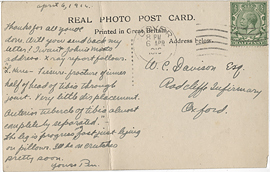 Military Hospital at Dover, postcard (back). 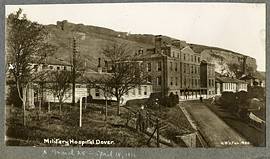 Military Hospital at Dover, postcard (front). 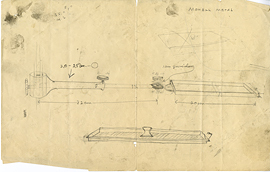 Monel metal instrument, medical illustration. 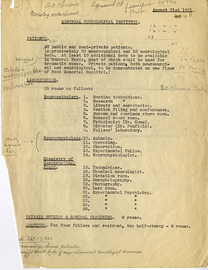 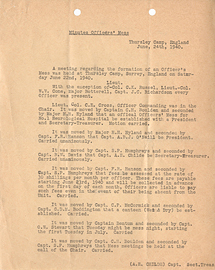 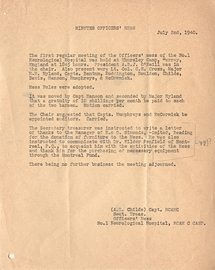 Montreal Neurological Institute - staff and budgets, August 21, 1931. 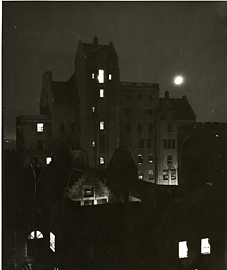 Montreal Neurological Institute at night, photograph.